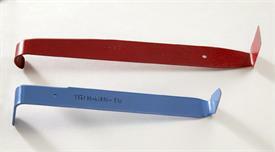 Choose Red or Blue Tool. A classic Japanese style tool, re-invented by Peter Callas. Classic Japanese double-ended metal footing/trimming tool. Metal can be resharpened to extend the life of this tool. Hand sharpened, and heat treated for strength. Rust preventative coating gives long life. Dual headed trimmers are made of heat-treated tool steel, hand sharpened for a superior cutting edge and covered with a rust preventative coating. 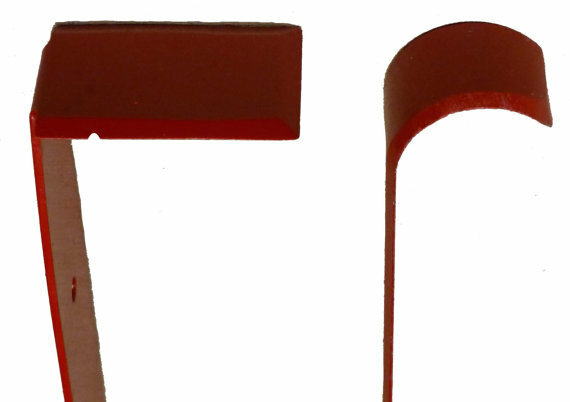 The flat side is perfect for achieving straight or curved lines and angles trimming pots, compresses foot rings and easily smoothes throwing lines. The arrow end adds finishing touches for trimming pots and is a wonderful carving tool and can be used to smooth throwing lines. Hand Sharpened Heat Treated Tool Steel Rust Preventative Coating. Made from the finest 18 gauge tool steel. Made in the USA! 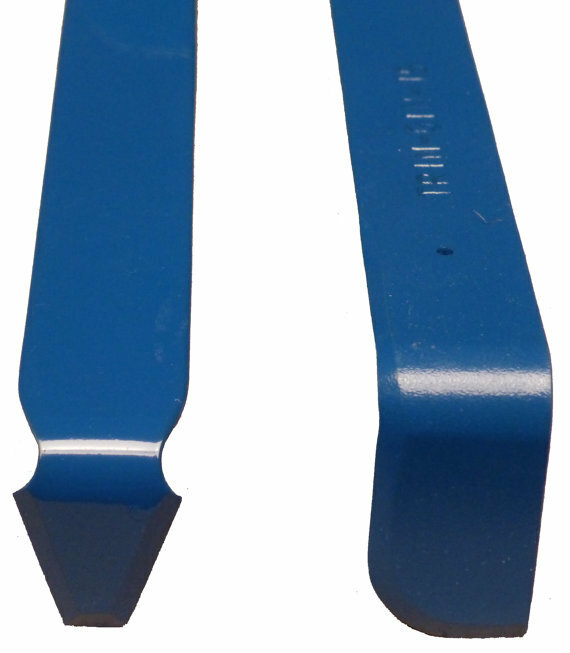 BLUE Measures approximately 5.25 x .8 inches. RED Measures approximately 6.75 x .75 inches.